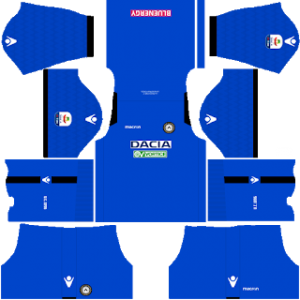 In this article, you can find and download Dream League Soccer (DLS) Udinese Kits and Logos 2018, 2019 Edition with URLs. Udinese is a professional Italian football club based in Udine. The club was founded in 1896, 122 years ago. It is commonly known by the name of Bianconeri Friuliani. Udinese plays its home matches at the Dacia Arena stadium which has a capacity of 25,144 visitors. The club competes in the highest division of Italian football which is Serie A. They are a very strong side when they are in top form. Davide Nicola is the mastermind behind the tactics of the Udinese team. 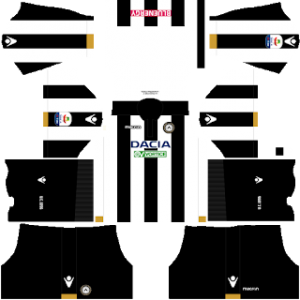 Now it is your time to play with the Udinese kits in Dream League Soccer 2018. So download the kits from the URL provided below. You can use this kits in DLS by clicking the URL to download the Udinese home kit 2018-2019. You can use this kits in DLS by clicking the URL to download the Udinese away kit 2018-2019. 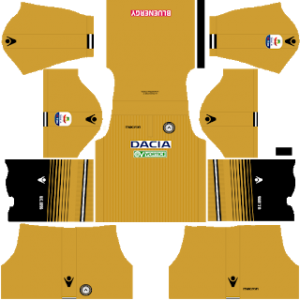 You can use this kits in DLS by clicking the URL to download the Udinese Goalkeeper’s home kit 2018-2019. 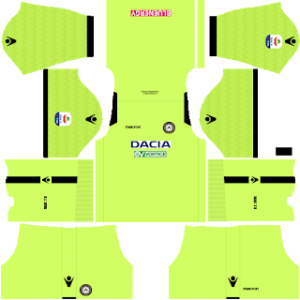 You can use this kits in DLS by clicking the URL to download the Udinese Goalkeeper’s away kit 2018-2019. You can use this Logo in DLS by clicking the URL to download Udinese Logo 2018 – 2019.